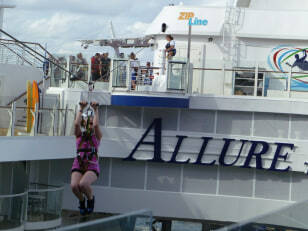 Jump to video What’s the best cruise line? 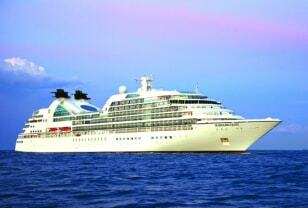 Looks like it’s full speed ahead for the cruise industry. 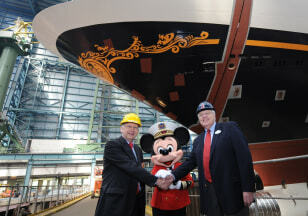 With Allure of the Seas now in Fort Lauderdale, Disney Dream set to debut and a half-dozen other new ships on the way, the rough seas of the recession are growing calmer by the day. Allure embarked on her inaugural cruise on Dec. 5, and she shares the title of world’s biggest cruise ship with its twin Oasis of the Seas, but adds a few new amenities. In addition to the zip line and skating rink, the surf machines and climbing walls, you’ll also find a 3-D theater, the first Romero Britto store at sea and two new restaurants, including a Mexican cantina and Brazilian steakhouse. Get some sleep before you go, suggests Carolyn Spencer Brown, editor in chief at CruiseCritic.com, or be prepared to swing by another new onboard amenity: the first Starbucks at sea. Having opened a U.S. office just this year, the French cruise line Compagnie du Ponant is probably still unfamiliar to many American cruisers. 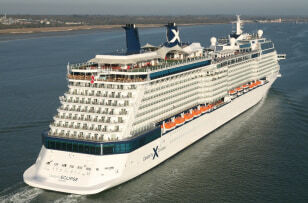 That may change with the arrival of the line’s fifth ship, L’Austral, a 132-cabin mega-yacht that will launch on April 27. Not surprisingly, the onboard amenities — two restaurants, plus a spa, theater, lounge and library — will provide more than a soupçon of French flair even as the ship’s itineraries take her far beyond the Côte d’Azur. After spending the summer in the Mediterranean, the ship will sail on to Africa, Antarctica and other exotic ports of call. 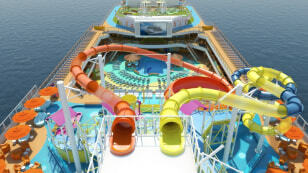 The latest addition to the Carnival fleet manages a neat trick: Although it’s a carbon copy of Carnival Dream, this 130,000-ton, 3,690-passenger ship tweaks the Fun Ship formula with several new amenities. Get a workout on the first ropes course at sea; cool off in a waterpark featuring a 500-gallon dump bucket, then retire to the RedFrog Pub for private-label beers and Caribbean-flavored snacks or Cucina del Capitano for hand-made pastas and select Italian wines. Launching on May 1, “Magic is perfect for entry-level or first-time cruisers,” said Dwain Wall, senior vice president/general manager for CruiseOne and Cruises Inc.
As the sister ship to the Odyssey (pictured) and Sojourn, Seabourn Quest joins a fleet that Chiron calls “quite possibly the nicest cruise ships on the planet.” Like her predecessors, the ship features a two-deck spa, four restaurants and 225 suite-style cabins, 90 percent of which have private balconies. The result: a yacht-like experience without upper-crust fustiness that draws younger cruisers than other ultra-luxury lines. 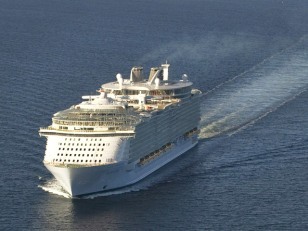 You can join them on a three-day pre-inaugural cruise from Monte Carlo on June 9, a 14-day maiden voyage from Barcelona on June 20 or, if you’re feeling flush, a 109-day world cruise starting Jan. 5, 2012. The name is Italian for fairy tale; the decor is modeled after an enchanted castle, and the ambience is Carnival Fun Ship (Costa’s parent company) meets the Continent. 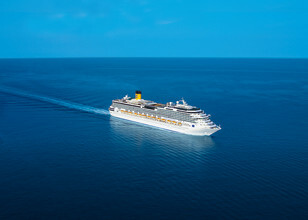 Launching on July 4, the 3,000-passenger ship offers several of Costa’s signature Concordia-class amenities, including a Grand Prix driving simulator, 4-D cinema (3-D, plus physical effects) and two-level pool deck with a glass roof and movie screen. New additions, including verandah suites with Jacuzzi tubs, a teen entertainment area and a water park for little cruisers, should only add to la dolce vita. 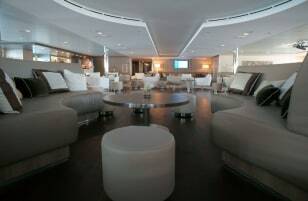 Details are still sketchy on Celebrity’s newest ship, but the fourth vessel in the line’s innovative Solstice class will replicate the most popular amenities of her predecessors, including a glass-blowing studio, recreation area with real grass and Qsine, the eclectic, iPad-menu-equipped restaurant that debuted on Eclipse (pictured). 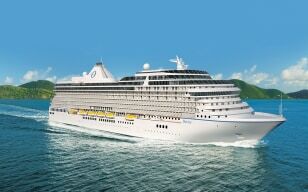 “It’ll be like a floating boutique hotel,” said Chiron of the 2,850-passenger ship, which will begin sailing Mediterranean and Holy Land itineraries on July 23. Those who prefer more tropical itineraries will have to wait until next fall when the ship will start offering 12-night Caribbean cruises from Bayonne, N.J.